I don't have any shows this weekend, so its time for a sale. Buy One Pair of Hoops, Get One Pair FREE! This weekend only! 10/30-11/1. Remember to purchase the pair of the greater value and list the free pair in note to seller. Limit 2 free pair per customer. Be sure to tell all your friends and co-workers about this sale! I'm excited and ready! 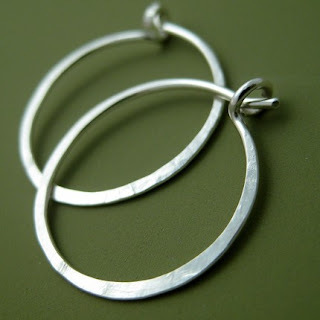 Each pair is lovingly crafted to give you the very best handmade hammered hoops. Simple, plain, hammered, handmade, sterling silver--perfect gift for all on your shopping list!